This softer version based on the original Churchill Gardens playground is a much safer affair. Photo by Tristan Fewings, Getty Images. The Churchill Gardens playground looks particularly unsafe and an accident waiting to happen. Photo John Donat, RIBA Library Photographs Collection. Children can stack these blocks, use them as stools or whatever else they can imagine. Photo by Tristan Fewings, Getty Images. The remnants of a Brutalist playground at Balfron Tower. Photo: Assemble and Simon Terrill. A mini fort that you can climb into and exit via a slide. Photo by Tristan Fewings, Getty Images. 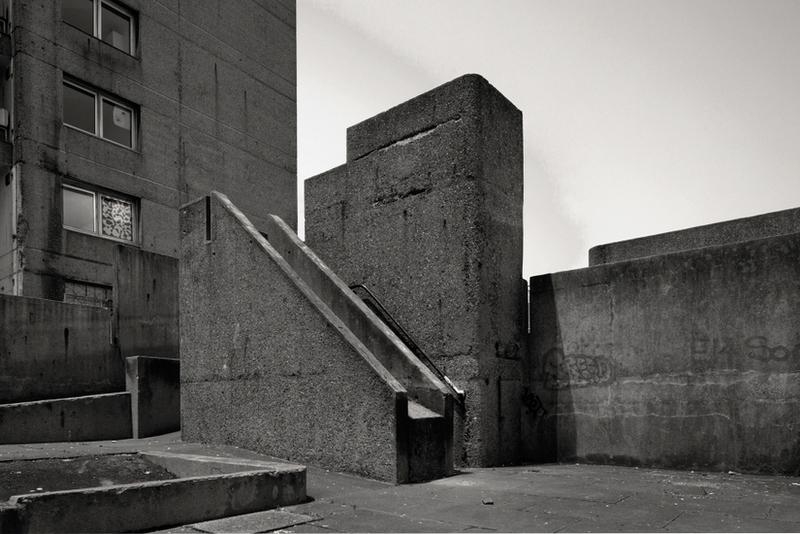 Brutalism — is there any other style of architecture that divides opinion as much? It's usually associated with massive buildings like the Barbican and National Theatre, so could it really work for a playground? Architects did try, with several constructed in the 1960s. Two examples were the Brunel Estate in Paddington and Churchill Gardens in Pimlico. 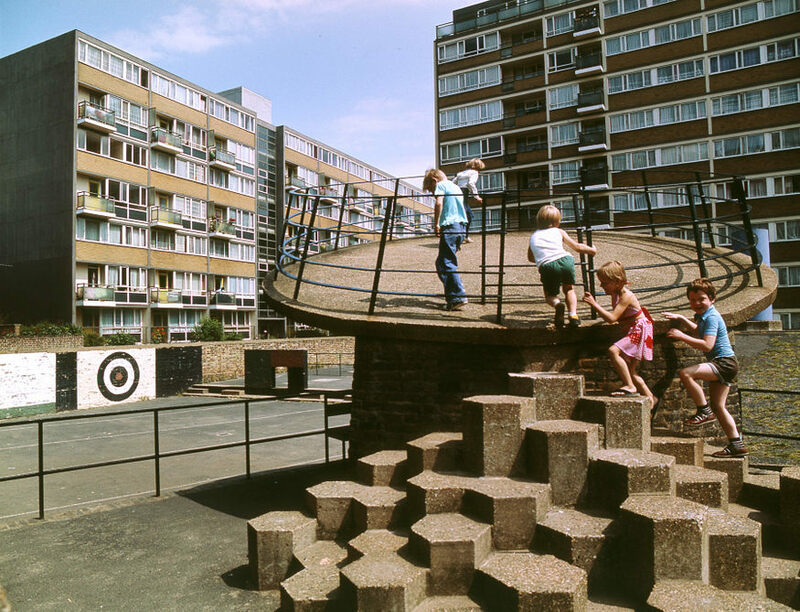 However, looking at these archive photographs of children at play on these concrete constructions with sharp edges, our initial thoughts were they are accidents waiting to happen. And sure enough they were strongly criticised by child welfare campaigners. Looking back it feels like an architectural folly, but a room full of archived material gives us a look back to a time when the idea had its supporters. 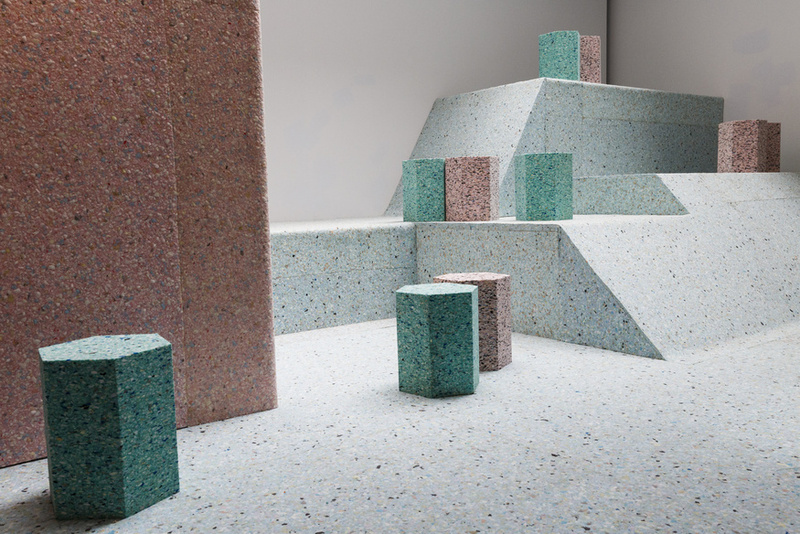 However, the star of this exhibition is a re-construction of a Brutalist playground by Turner Prize nominees Assemble. 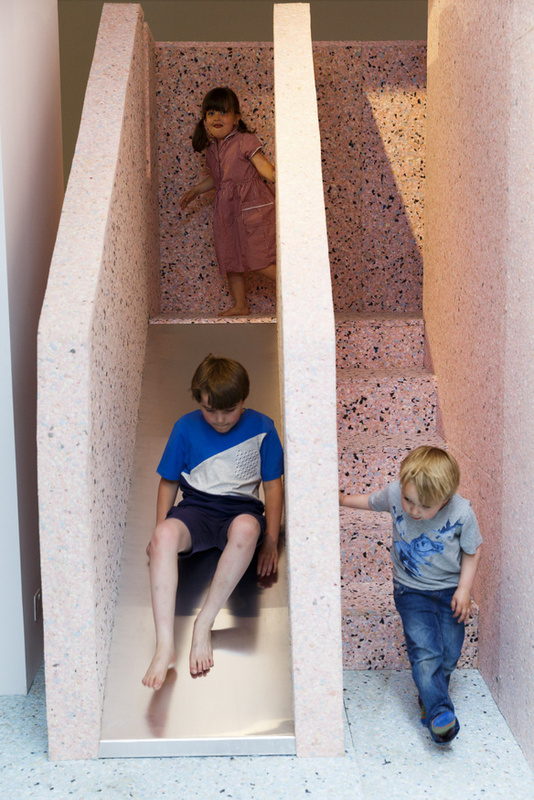 Thankfully, they haven’t used concrete and this softer construction provides an opportunity for adults and children alike to experience it. It’s been given the look of concrete but kick your shoes off and you can walk along the spongy construction, climb into a mini-fort and exit via a small slide. Yes, it’s designed for children but we saw plenty of adults enjoying it too. This is an interactive look back at architectural history and more importantly it’s lots of fun. 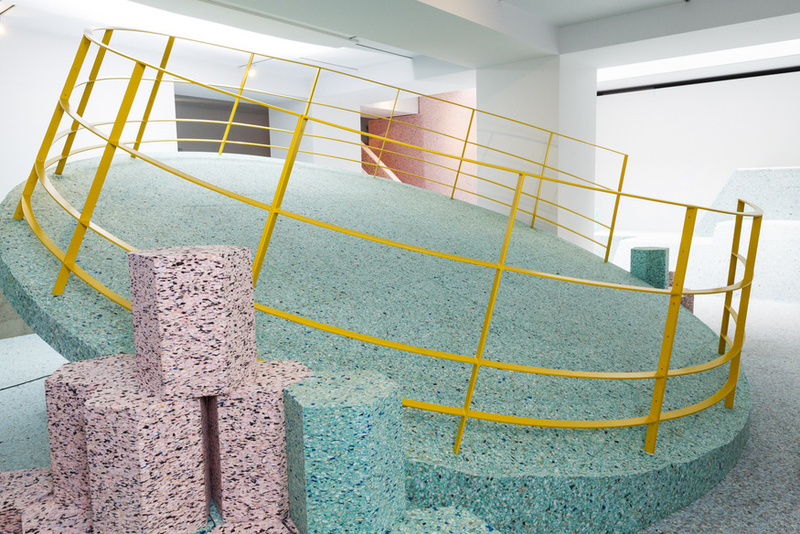 The Brutalist Playground is on at RIBA, 66 Portland Place, W1B 1AD until 14 August. Entrance is free.